With generic symptoms like dry eyes and a dry mouth, Sjӧgren’s syndrome is so tricky to diagnose that most patients struggle with symptoms for nearly three years before finally learning the underlying cause of the problem. 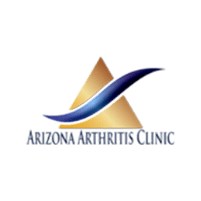 As a specialist in rheumatologic disorders like Sjӧgren’s syndrome, Amer Al-Khoudari, MD, FACR, at Arizona Arthritis Clinic, PLLC, has the expertise you need to get an accurate diagnosis sooner rather than later. To schedule an appointment, call the office in Chandler, Arizona, or use the online booking tool. Sjӧgren’s syndrome is an autoimmune disorder in which your immune system attacks glands that produce tears and saliva, causing inflammation and damage that affects their function. Women are nine times more likely to have Sjӧgren’s than men. You’re also at a higher risk if you have another autoimmune condition, such as lupus or arthritis. What symptoms develop due to Sjӧgren’s syndrome? When dry eyes and dry mouth go untreated, you’re at risk for complications like eye infections, damage to your cornea, dental decay, gum infections, and oral yeast infections. Sjӧgren’s isn’t limited to your eyes and mouth. The inflammation it causes may affect any part of your body, including your joints, nerves, skin, kidneys, liver, and lungs. Due to its body-wide impact, Sjӧgren’s leads to diverse symptoms, including fatigue, joint pain and stiffness, muscle pain, and skin rashes. It can also cause gastrointestinal disease, neuropathy, and inflamed blood vessels. How is Sjӧgren’s syndrome treated? Sjӧgren’s syndrome can be hard to diagnose because general symptoms like dry eyes, dry mouth, and muscle aches are associated with many diseases and medications. Dry eyes are often relieved with preservative-free artificial tears or ointments that you put in your eyes before going to sleep at night. A prescription medication, Restasis®, relieves dry eyes by boosting tear production. In severe cases, an ophthalmologist can insert plugs that increase the number of tears in your eye by blocking tear drainage. Your doctor at Arizona Arthritis Clinic may recommend one of many products that relieve dry mouth, including a specially formulated mouthwash, mouth spray, or lozenges. Prescription medications that stimulate saliva are also available. Your doctor may prescribe any number of medications to target body-wide symptoms. Examples include proton-pump inhibitors, corticosteroids, and immunosuppressants. If you develop symptoms of Sjӧgren’s syndrome, call Arizona Arthritis Clinic or book an appointment online.